I shoot everything in color. Actually, Raw, to be precise. And once I've done my sort and decided which images I like best, I begin to consider the possibilities. One of those considerations is B&W. As others have said before, color sometimes just gets in the way. Not always, but there are those times when I want to experience the composition and tonality without distraction. For those images, I've started a SmugMug gallery dedicated to B&W. For me, B&W is a frame of mind, I usually don't mix those images in with color photographs. Even in my portfolio, B&W has its own chapter. 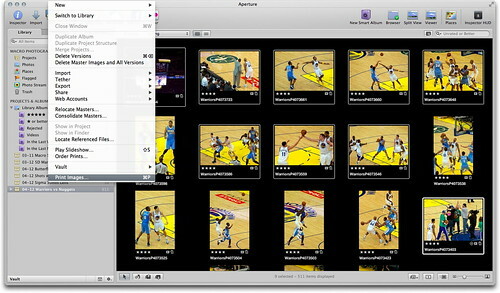 As for processing, initial sorting steps are handled in Aperture 3. After I've decided which images are going to be converted to monochrome, I open them in Nik Silver Efex Pro 2, which gives me the control to process the images just the way I want. I use the Aperture plug-in version, so my photos come back to Aperture for finishing touches. B&W isn't for every shot. But for the right images, it's an amazing way to view the world. 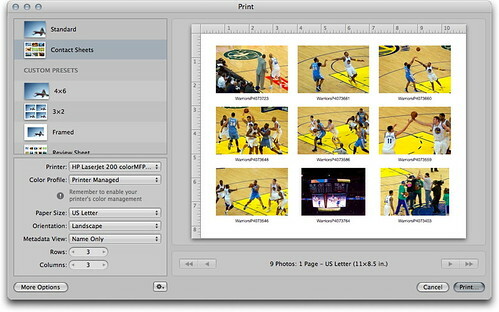 Both Aperture and Lightroom provide excellent tools for organizing images in your library. A common question I hear during workshops is about the difference between Flags, Stars, and Color Labels. Here's a quick overview on how I use them. I use stars to rate the quality of an image. A great picture will be 4 stars, good is 3, and acceptable is 2. I recommend making two passes to rate photos. First pass is just a "yay or nay" review. If it's an acceptable image, give it 2 stars (a yay). If not, no stars at all (nay). Then, on the second pass, only review the 2 star photos. I usually put them in an Album (or Collection in Lightroom). You've now had a chance to see the entire shoot and have better perspective on the relative quality of the images. Upgrade the best shots to 3 or 4 stars. These should be the only pictures you spend image editing time on. Use the color dots for categories. You could assign one color, for example, to shots that you've uploaded to the web. 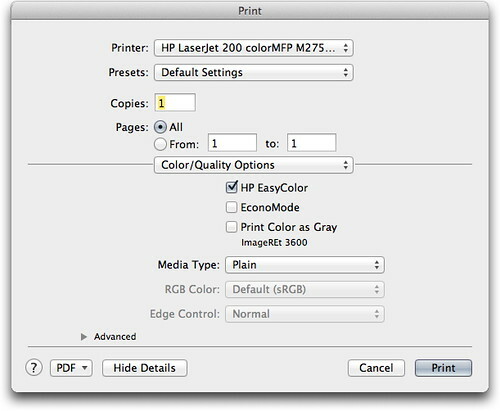 Another color might be used for images that you've printed. If you have a frequent client, he or she might deserve their own color label. You can assign names to labels by going to Preferences > Labels. Flags are useful for temporary collections. Let's say that you want to isolate and look at a handful of images. 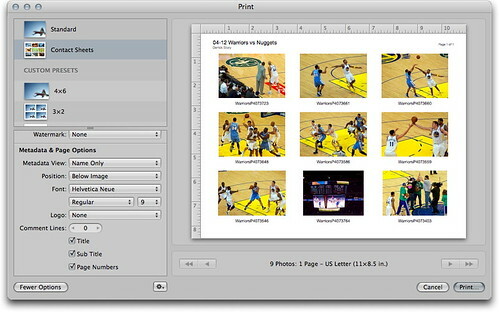 Mark them with a flag, then in thumbnail mode, go to the upper right corner of Aperture and click on the search icon. Choose Flagged from the popup menu. Only those images will be displayed on your screen. Click on the "X" in the search box when you're done to reveal all of the images in that project. Sigma has released a pair of prime lenses for micro four/thirds cameras, such as the Olympus PENs. I've been testing the 30mm F2.8 EX DN ($199 US) because it fits nicely between my Olympus 17mm f/2.8 ($219) and the longer 45mm f/1.8 telephoto ($399). The first thing I noticed with the Sigma 30mm is that it's larger than the two Olympus primes. On the E-PL2 body (shown above), it looks great. On the PEN Mini, the Sigma looks a little oversized. Despite its greater diameter, it's still very light (135g / 4.8oz). The metal lens mount is nicely finished. But the lens mechanism inside does move around when not in use. 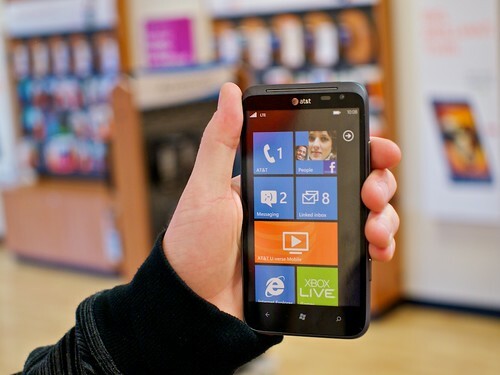 Once you turn the camera on, it engages, eliminating movement until you actually focus. I'm guessing that this is a byproduct of Sigma's new linear focusing system. 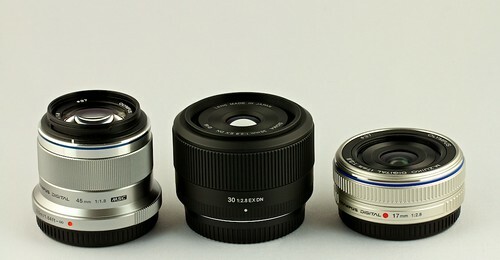 Sigma 30mm (center) compared to the Olympus 45mm and 17mm primes. On the camera, autofocusing is fast and smooth. You can manually focus on the fly using the large knurled ring at the front of the lens. Focusing action is nicely dampened. Threads on the front of the lens accept 46mm filters and accessories. A lens hood is not included, but you do get a nice zippered case. Since the 30mm behaves like a 60mm mild telephoto with the micro four/thirds sensor (crop factor of 2X), you can soften the background when shooting wide open. Overall sharpness of the lens is good. It has decent close-up ability allowing for 1:8.1 magnification at 11.8"
You can soften the background when shooting wide open with the Sigma 30mm. 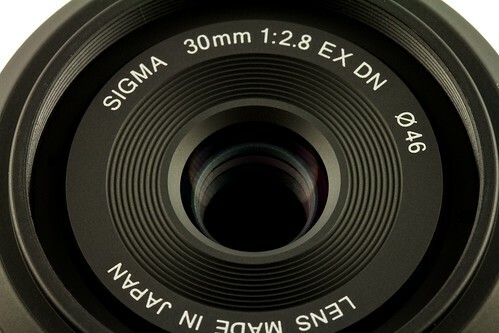 The Sigma 30mm F2.8 EX DN is an affordable prime lens for micro four/thirds users, especially useful for Olympus PENs because it doesn't have image stabilization built into the lens. It performs best when the camera's firmware is up to date. For example, when I mounted it on my E-PL2 with firmware 1.0, the lens became hyperactive constantly adjusting the aperture with changing lighting conditions, even when locked down in Aperture Priority mode. I would upgrade your camera firmware if you plan on using this lens. 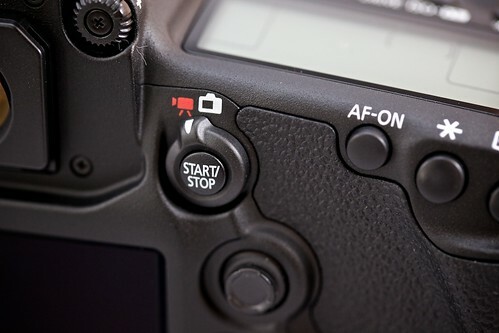 On start up, I also noticed that there's a 1-2 second delay before the lens was ready to shoot. It feels like the lens and camera are establishing communication during this delay. Once everything is ready however, the lens focuses quickly, quietly, and accurately. I do like having the faster f/2.8 aperture at the 30mm focal length. 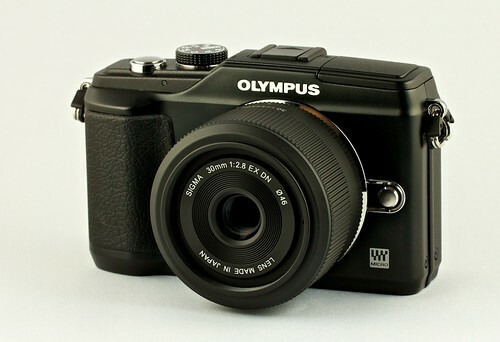 On the 14-42mm, f/3.5-5.6 Olympus zoom that comes with the PEN cameras, the aperture is f/5.0 at 30mm. So this prime delivers a stop and a half more light at the same focal length. The lens should also look good on the black version on the new Olympus OM-D E-M5 body that is due to be released later this month. 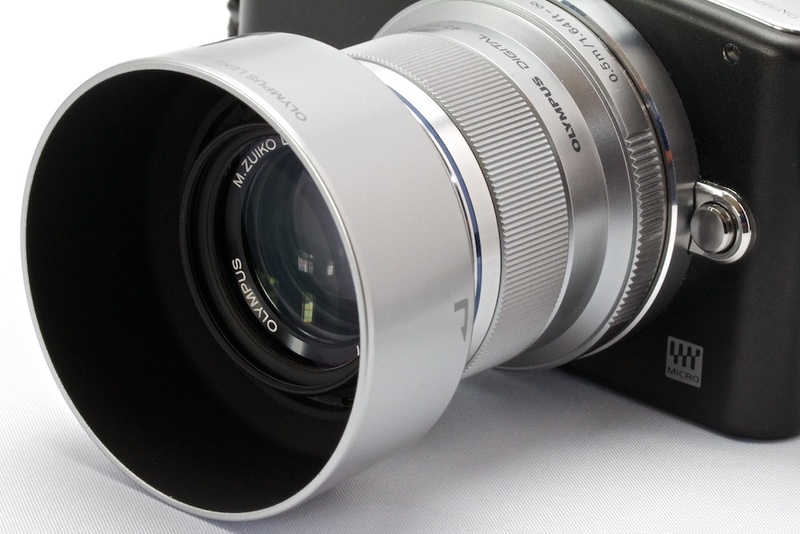 Overall, I rate the Sigma 30mm a notch below Olympus prime lenses. But if you want a mild telephoto with a reasonably fast aperture for an affordable price, you'll probably like shooting with this glass. I'm going to keep mine. Starting this month, I'm available for speaking at SMUGs (SmugMug User Groups). I'm looking forward to meeting with other photographers who share the same passion for making great images and enjoy the process while doing so. Plus, Lowepro is also behind this project, which means there will always be gear giveaways at my speaking engagements. How cool is that? Derrick Story is a professional photographer, writer, teacher and photography evangelist for Lowepro. He has authored several digital media books, including, The Photoshop CS4 Companion for Photographers and The Digital Photography Companion (O'Reilly Media, publisher). Derrick is a Senior Contributor for Macworld magazine where he writes a digital photography column, and he's a regular presenter on the popular training site, lynda.com. Online, Derrick has formed a virtual camera club called The Digital Story that's open to all photography enthusiasts. The site features weekly podcasts, daily posts, training videos, and reader-submitted photos. If you interested in having me speak at your SMUG, my contact information is listed on the TDS Members page. I hope to see you soon! A slight shift in weight or change in angle can make a big difference in the final portrait. Since many of the subjects we photograph aren't professional models, they look to us to help them pose. I just read an article that covers the basic tips that every photographer should have in mind during a portrait session. In 7 Killer Portrait Tips by Dustin Olsen, he illustrates how to position the subject to render more flattering outcomes. It's a good read, and certainly a post you'll want to bookmark. In this portrait that I captured of model Leah Gerber, she demonstrates a few of these basic reminders. She's angled her torso for a more pleasing body line, and the hands are partially hidden. Her chin is at a good angle. I've softened the light using photo umbrellas on light stand. The strobes themselves are simple Sunpak flashes with a connecting cord that I often use in the studio. A final tip that I would add is, that once you've covered the basic elements in a portrait, take a few more minutes to play. Try a different angle, experiment with another lens, and change the composition. You have nothing to lose because you already have the "safe" portraits, but lots to gain if you find that magical pose. Like a bear that emerges from hibernation, photographers north of the equator are getting ready to venture outdoors and capture the glory of Spring. The problem is, weather does't always cooperate. 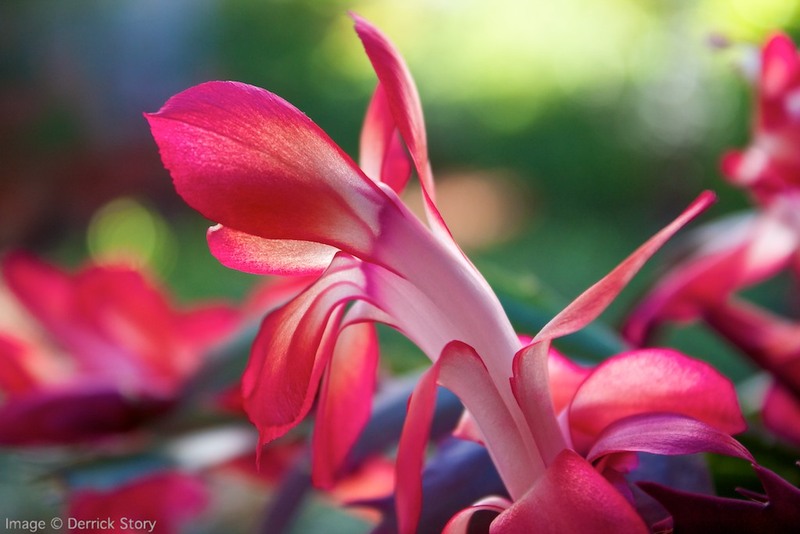 I just read a terrific article on Photo Naturalist titled, A Fun Way To Improve Your Wildflower Photography where author Vic Berardi talks about practicing your close-up technique indoors now to prepare for that next beautiful day outdoors. I have a glass window box at the studio that is a terrific stage for plant photography even when the weather is miserable. Vic used a variety of different locations within his house to capture some absolutely beautiful flower shots. By practicing your technique on potted plants, then reviewing your work on the computer, you can help eliminate unfortunate surprises when working in the field. Take a look at Vic's article, then consider putting together your own Spring training program.